Video site YouTube has announced that it is putting an end to all the uploads that contain dangerous pranks. The company has banned the depiction of such behavior over recent challenges that may cause people to get seriously injured. 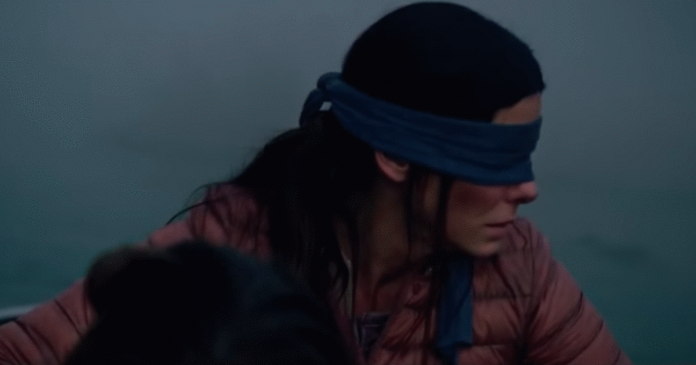 The ban comes after many incidents involving challenges such as the Bird Box challenge. The challenge, inspired by a Netflix movie with the same name, led to people putting on blindfolds and doing dangerous things such as driving a car or crossing a street. Jake Paul, who has millions of subscribers, was one of the YouTubers to attempt this challenge. His video appears to have been removed by the site. The challenge immediately led to warnings from authorities and even the streaming service Netflix. The Bird Box challenge has been around for a few weeks and some people have been injured while attempting it. Earlier this month, a Utah teenager caused a highway collision after attempting the challenge. KUTV and Layton Police revealed that the teenager drove into the other lane and crashed into another car. She also hit a wall and a light pole. In recent years, several other dangerous challenges have forced YouTube to remove videos. Last year, the video site had to remove content involving the Tide Pod challenge. The challenge, which involved eating laundry detergent, was attempted by many people. Many videos of the challenge surfaced on YouTube and the video site had to remove them. Before that challenge, people were setting themselves on fire and uploading videos of it. The company said that challenges that can cause death or have caused death in some cases have no place on the video site. YouTube has also announced that the ban involves pranks that look harmless but can cause distress. The company explained that they don’t allow pranks that make people believe that they are in danger such as a drive-by or home invasion prank. YouTube has seen a wave of pranks in the last few years but the ban will likely decrease this type of content. Last year, the video site took action against a couple who became popular for uploading pranks with their kids. The FamilyOFive channel had hundreds of thousands of subscribers but the couple was often criticized for the content, which many saw as child abuse. They were banned from the site after they were accused of child neglect and sentenced to five years probation. The family returned with a new channel later but that was removed as well. The ban will mostly focus on removing the content that’s been uploaded by the creator. The video site will not automatically ban the creator, it will instead hand a strike. The strike limits what a creator can do for three months but everything will return to normal if they don’t receive a strike during that time. The video site will still allow some pranks that don’t cause any distress or physical harm. In recent years, harmless pranks such as the water bottle flip and ice bucket challenge have surfaced on the video site.